Predictology is one of the most advanced betting platforms on the planet. A bold statement? 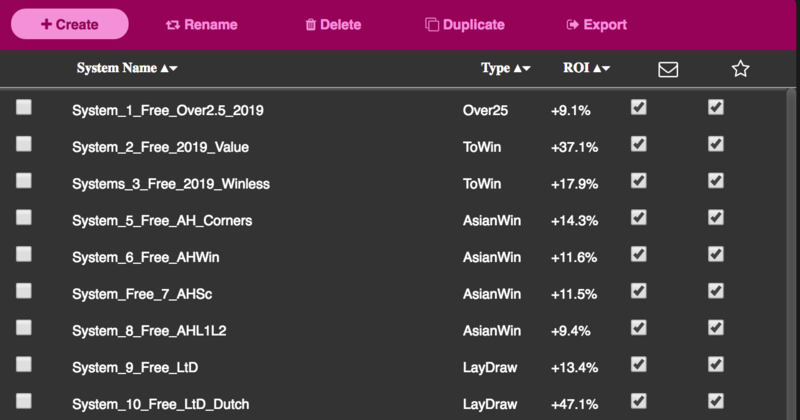 Well, this software has produced some incredibly powerful betting systems, combine that with the ability to create your own and you’ve got something very unique. If that wasn’t enough, you can also gain access to a ready-made portfolio of profitable systems. Normally, a membership to Predictology costs only £37.00 per month. For a further £97, you can then upgrade to access our 8 Premium Strategies (that’s just £12.13 per system). For a very limited time, you can access our 8 Premium Strategies AND receive 3 Months FREE access to Predictology for just a one-off £97.00 payment. Predictology provides a whole suite of tools to help you develop profitable betting strategies BUT that is not what we want to talk to you about today. For many, the prospect of building and managing their own strategies can be a little daunting or they simply don’t have the time to sit down and come up with ideas and strategies that they want to test. Today, we want to solve that problem by drawing your attention to an underutilised area of Predictology. As a Predictology member, you instantly get access to 14 profitable betting strategies. That’s right – from the get-go, as soon as you log in, they are sitting there, ready and waiting. 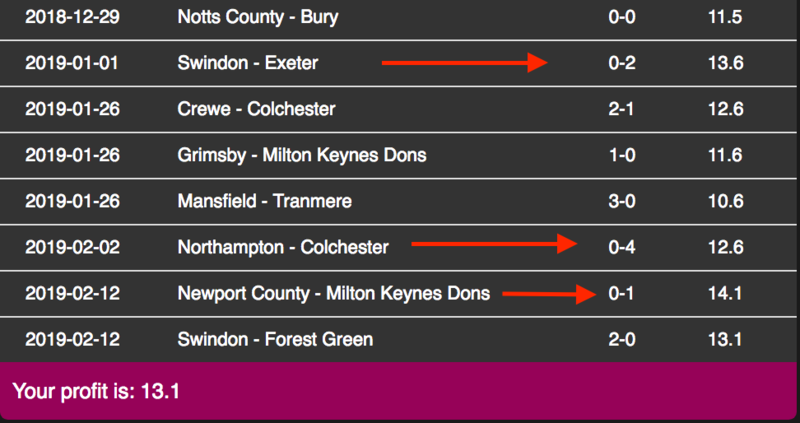 You can literally be placing your first winning bets within a few minutes of signing up. As a starting off point, these systems are fantastic value and a great thing to have in anyones betting locker. These systems are what we call “micro-strategies” which means, individually, they are profitable but produce a low volume of bets. Put them all together and you have a decent amount of action, every week. 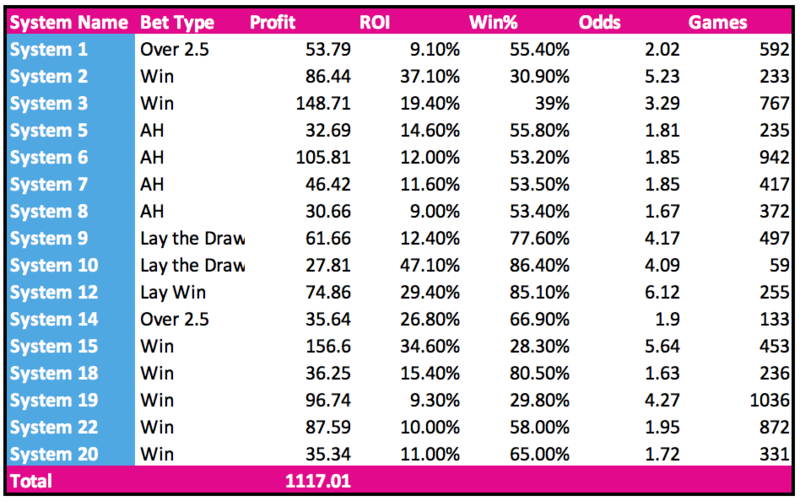 This entry was posted in Betting systems, Betting Tips, blog, Micro Betting Strategies, Playbook entries, Punter Diary, Start Here, System of the Week, User Guides and tagged betting guides, betting tips, betting trends, football betting systems, football data, football sequences, free betting system, free betting tips, micro betting angles, micro betting strategies, predictology, proven football betting systems. Bookmark the permalink.